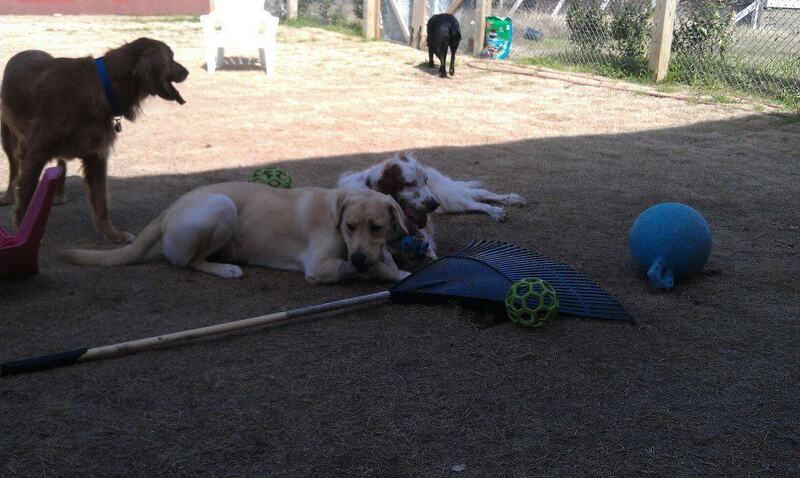 Let our professionals take care of your doggies needs while you work. Most dogs live with people who want them to behave in ways that make them pleasant to be around, keep them safe, and provides for the safety of other humans and pets. Dogs do not figure out basic obedience on their own. The fundamental rule that must be remembered is that one should never apply human standards of society onto the dog with the assumption that the dog will understand. The hardest part of training is communicating with the dog in a humane way that the dog understands. The underlying principle of all communication is simple: reward desired behavior while ignoring or correcting undesired behavior. Corrections are a form of punishment. Corrections can be physical (i.e. leash correction) or mental (i.e. withdrawing a reward). The dog's personality, the behavior, and the importance of the correct behavior should all be taken into account in using corrections with your dog. In a nutshell, negative corrections should only be used to eliminate a behavior and positive rewards to repeat a behavior. Professional dog trainers train the dog's owner to train his or her dog. To be most effective, the owner must use and reinforce the techniques taught to the dog. Owners and dogs who attend class together have an opportunity to learn more about each other and how to work together under a trainer's guidance. Training is most effective if all those who handle the dog take part in the training to ensure consistent commands, methods, and enforcement. 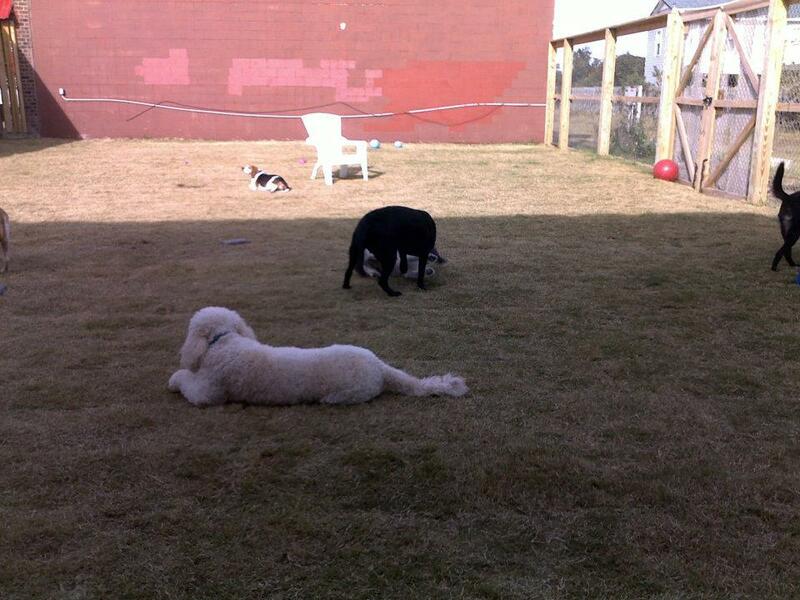 Classes also help socialize a dog to other people and dogs. Training classes are offered by many kennels, pet stores, and independent trainers. Group classes may not be available until the puppy has completed all of its vaccinations (around 3 – 4 months of age). Some trainers offer puppy socialization classes in which puppies can enroll immediately after being placed in their permanent homes as long as disease risk is minimal and puppies have received initial vaccinations. In most cases, basic training classes accept only puppies who are at least 3 to 6 months old. It's recommended to start training as soon as the puppy comes into your home. Puppies may also be trained individually by the trainer visiting the dog's home beginning as early as 8 weeks. A puppy requires discipline, consistency, and the patience of its owner. The puppy training phase is integral in raising a healthy and happy dog and keeping a safe and fun home environment. Dogs are expressive and may communicate needs by biting, whining, and getting fidgety. Changing one's own conduct may be effective in changing a puppy's behavior. House training is an important issue for puppies. Various methods of house training will work although the key is to be consistent. With regularly enforced rules, litter box, crate, or paper training can be successful. 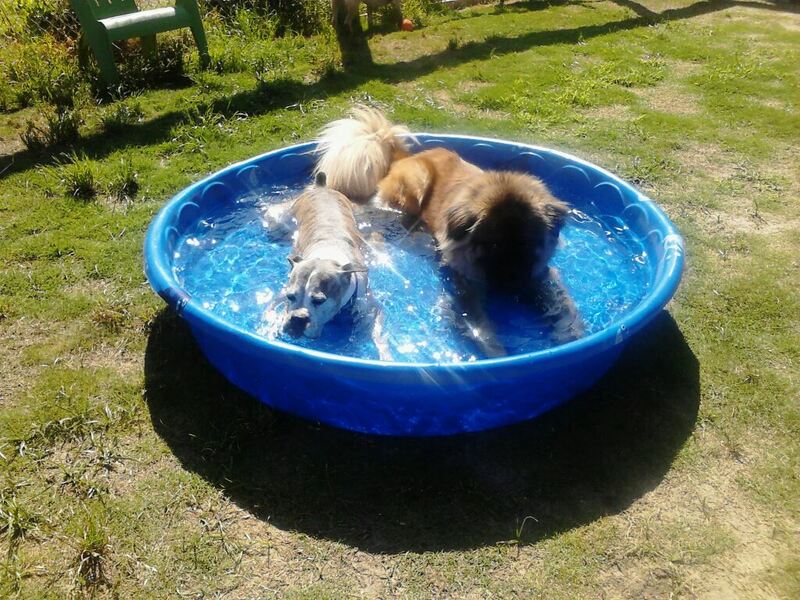 This type of training is more complex and usually suitable for dogs who have completed level one (basic training) or an equivalent level of adult dog training classes. This training is ideal for dogs that have an urgent or unique training problem or are not suitable for group training. Dogs not suitable for group training are those who are reactive or aggressive to other dogs or people or may have a fear of certain situations. This type of training would normally be undertaken where the problem normally occurs rather than a classroom situation. There is also puppy training which is mostly just socialization and introducing puppies to meet and greet with other puppies and play with them. Fundamentally, dog training is about communication. From the human perspective, the handler is communicating to the dog what behaviors are correct, desired, or preferred in different circumstances and what behaviors are undesirable. A handler must understand communication from the dog. The dog can signal that he is unsure, confused, nervous, happy, excited, and so on. The emotional state of the dog is an important consideration in directing the training, as a dog that is stressed or distracted will not learn efficiently. Correct behavior. You have earned a reward. Correct behavior. Continue and you will earn a reward. Incorrect behavior. Try something else. Incorrect behavior. You have earned punishment. Using consistent signals or words for these messages enables the dog to understand them more quickly. It is important to note that the dog's reward is not the same as the reward marker. The reward marker is a signal that tells the dog that he has earned the reward. Rewards can be praise, treats, play, or anything that the dog finds rewarding. Failure to reward after the reward marker diminishes the value of the reward marker and makes training more difficult. Hand signals and body language also play an important part in learning for dogs. Some sources contend that the most effective marker is the human voice. Dogs do not generalize commands easily. A command which may work indoors might be confusing out-of-doors or in a different situation. The command will need to be re-taught in each new situation. This is sometimes called "cross-contextualization," meaning the dog has to apply what's been learned to many different contexts. Training a dog takes time and patience. Canines seem to understand what the trainer wants fairly quickly. This corresponds to Animal Cognition- the mental capacity of non-human animals. The dog takes in odors, sights, and sounds to remember something it has been taught. For example, when the trainer says “sit,” there should be a set tone and a hand motion. After the dog has experienced seeing and hearing this routinely, along with obtaining the muscle memory, the action of “sitting” becomes an image set in their minds. The next time the trainer says “sit” with the same tone and motion, the dog receives an image showing it the action and is, therefore, able to sit. Clarity while demanding what a canine does is also of great importance. The dog associates the words the handler says with not only the tone, but also with the sound of the letters in each word. “Sit” ends with a strong “T,” while “Stay” ends with a drawn out vowel sound. The canine does not understand the difference between consonants and vowels, but the sound associated with the words, along with the handler’s tone, allows the dog to associate an auditory element to each command. In return, the canine is able to recall the commands due to the words’ unique connection to the dog's mental and auditory senses. Most trainers claim that they use "positive training methods. " Generally, this means using reward-based training to increase good behavior rather than physical punishment to decrease bad behavior. Dogs should not be punished by being placed within a cage, crate, or carrier, especially one similar to where they eat or sleep. While this may confine the dog from further disruptive behavior, and also may seem similar to "sending a child to their room" as a form of punishment, the dog's mind will unfortunately begin to associate the cage with punishment, and will experience anxiety if put into the container, as a result of the negative feelings associated with it. Punishment involving confinement is an unusual and confusing type of situation for a dog, and should not be used. Positive reinforcers can be anything that the dog finds rewarding - special food treats, the chance to play with a tug toy, social interaction with other dogs, or the owner's attention. The more rewarding a dog finds a particular reinforcer, the more work he will be prepared to do in order to obtain the reinforcer. Just being happy about a dog's accomplishment is a reward to them. Some dog trainers for example suggest using treats that are particularly favoured by your pooch. Your dog or puppy may particularly enjoy liver treats or cheese. However, always make sure that the treat that you use as a positive reinforcer is healthy and will not damage your dog or puppy's overall health. Corrections are only effective when paired with teaching the dog desired behaviors, but tend to be ineffective without teaching the dog the proper ways to avoid the correction and achieve reward. Corrections should only be administered as appropriate for the dog's personality, age, experience and physical and emotional condition. Some dogs may show signs of fear or anxiety with harsh verbal corrections. 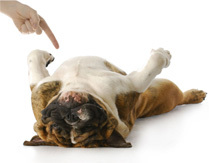 Other dogs may ignore a verbal reprimand. Some dogs develop an aversion or fear of water, when water is sprayed at them as an aversive.